Crepes are a type of very thin pancakes served with a variety of fillings which are commonly added to the centre. This delightful food is best served with coffee, tea, buttermilk, and cider. And because crepes are such a favourite breakfast meal or dessert here in the Mother City, we made a list of the Top 5 Places to Eat Crêpes in Cape Town. 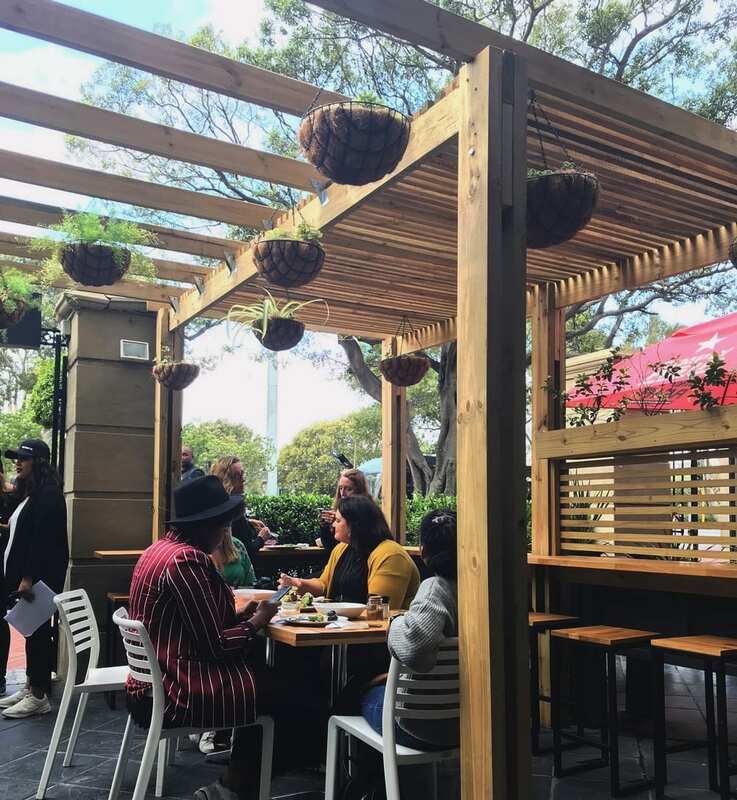 Located on the corner of Buitenkant and Barrack Streets, Swan Café is a little French style eatery in town that offers great crepes in a beautiful setting. 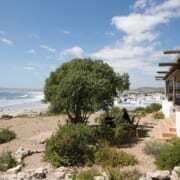 This sweet stopover is known for its creative interior, delicious food, and very good coffee. This Parisian crêperie is a quaint little place — beautifully decorated and styled. The café’s ambiance is very pleasant with hanging red bird cages, and walls adorned with digital swan wallpaper and art. 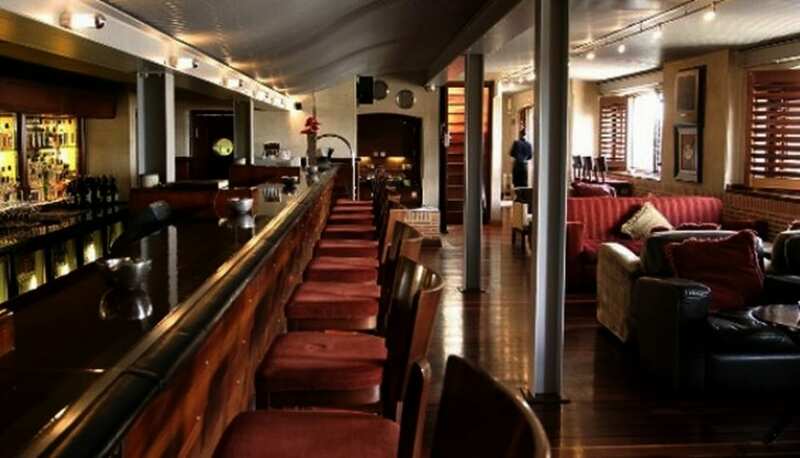 It is a cool place to hang out with friends and soak in the French chic vibe. On the menu are a variety of savoury and sweet crêpes, plus delicious coffee and an interesting tea selection. At Swan Café, all crêpes are made from scratch daily and are served with a dash of cream and a sprinkling of cinnamon. The galletes are made of gluten-free buckwheat flour, served with Swan side salad. The unique fillings include delicious ingredients such as blue cheese, orange sauce, fresh thyme, and toasted flaked almonds. Swan Café is open from 8AM to 4PM on Mondays to Fridays. And from 8AM to 2PM on Saturdays. 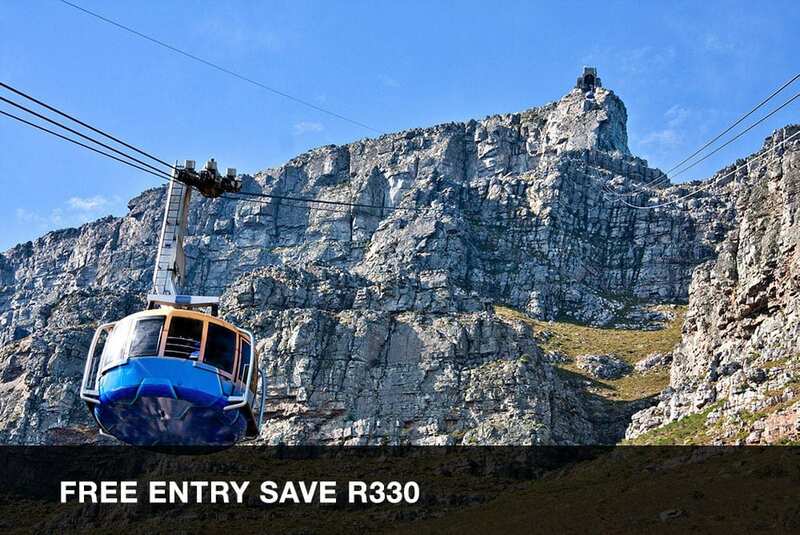 Visit swancafe.co.za for more information. Ta-Da! 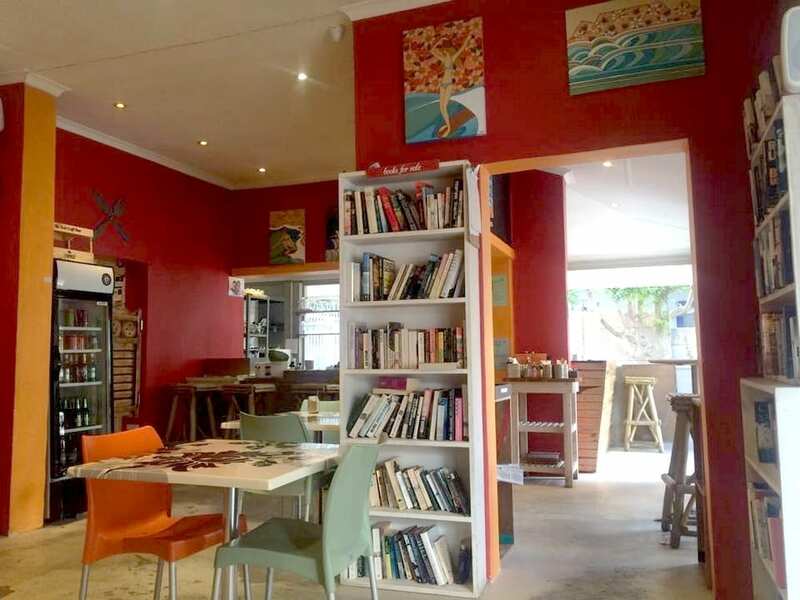 Crêperie and Coffee Bar is a little gem at The Boardroom Adventure Centre, along Victoria Avenue in Hout Bay. With its quaint and colourful interiors and relaxed shaded outdoor seating, Ta-Da! 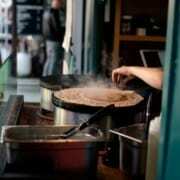 makes wonderful sweet and savoury crêpes and other delicious food. Popular for their great coffee, friendly service, and delicious crêpes, this pet-friendly crêperie claims to be the best coffee and breakfast destination in Hout Bay. Savoury crêpe fillings include spinach, sun-dried tomato, feta, olives, and jalapeño peppers. The sweet crêpe fillings include honey, cinnamon, and homemade fudge. Ta-da!’s sought-after crêpes come in generous sizes with rather amusing names. 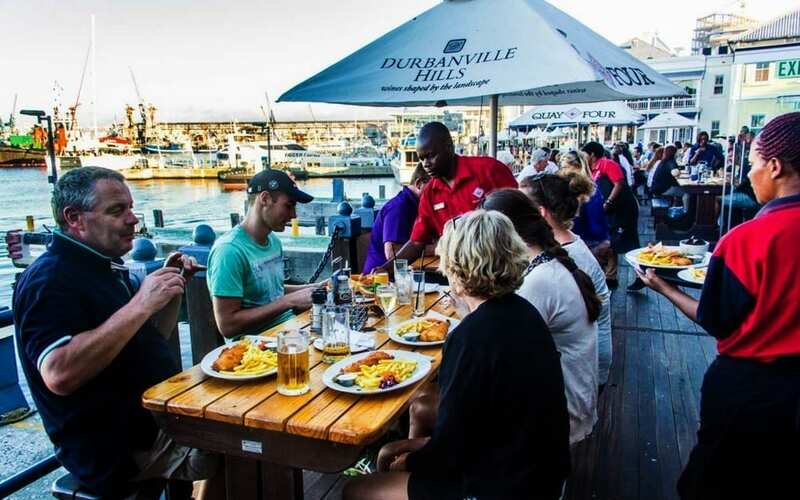 And because this wonderful crêperie is located along the popular Atlantic seaboard cycle route, it makes for a perfect pit-stop. Follow the Ta-Da! Facebook page for more information. Experience fantastic French hospitality, play fun board games, enjoy delicious crêpes and wonderful Tribe coffee at The Big Box Café! 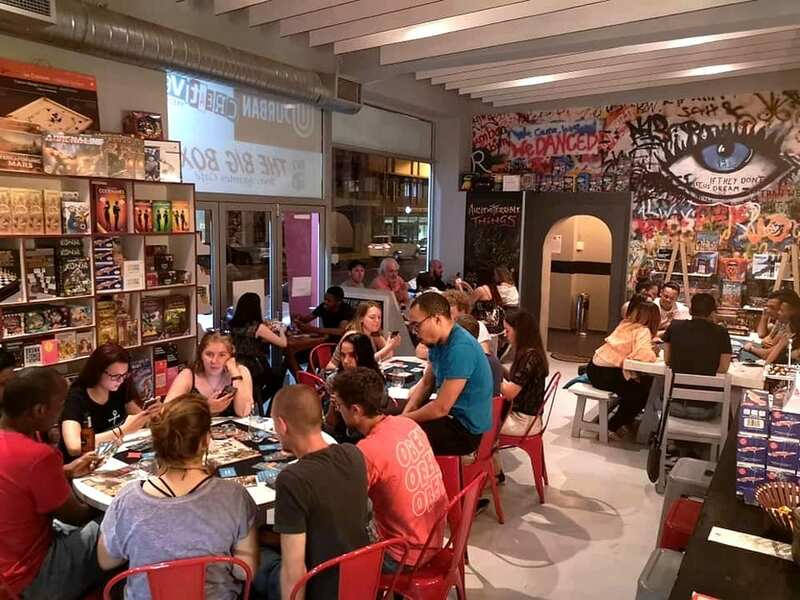 A brainchild of Eric and Emilie Breteau, The Big Box is a sister company of La Grosse Boite, a board games café in La Rochelle on the Atlantic coast of France. 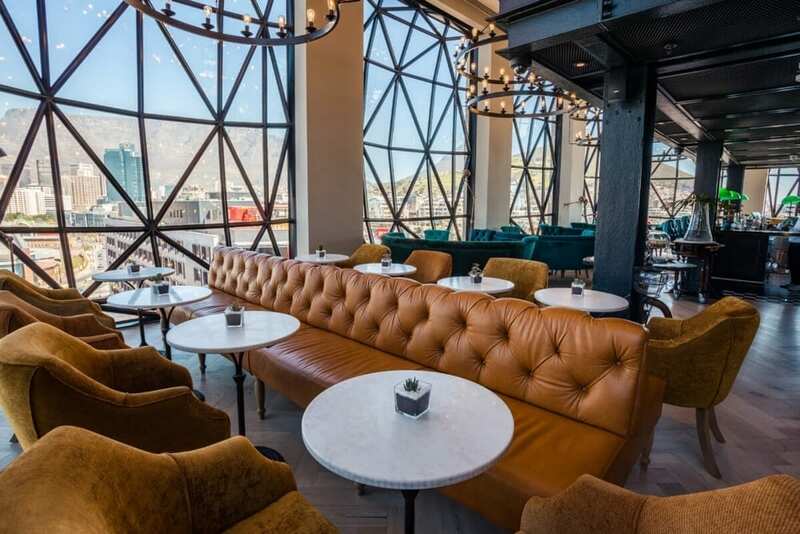 This unique café is the first of its kind in Cape Town. At The Big Box Café, you can play different board games while enjoying freshly-made crêpes with savoury and sweet fillings in a relaxed, fun environment. They have an incredible selection of unusual and engaging board games. Some of the classics such as Scrabble, Monopoly, Battleship, and Chess are also available. Playing games at the café is free. 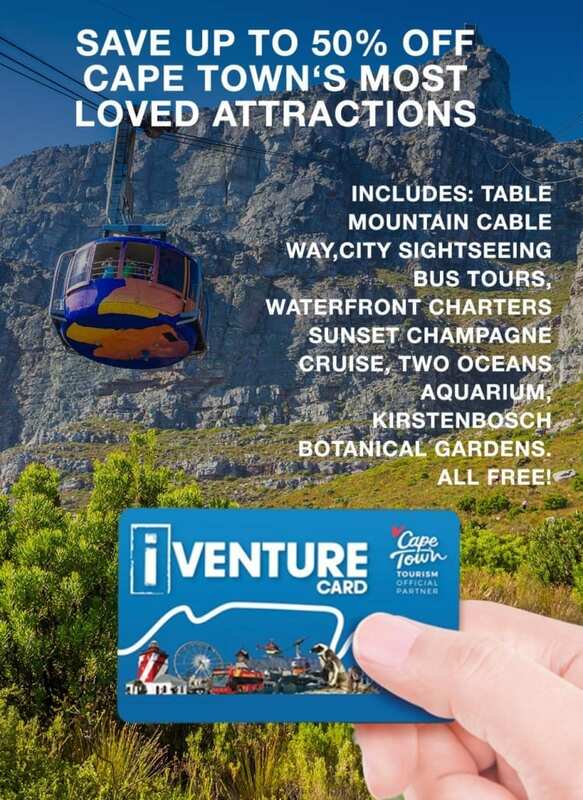 You can also purchase games at the café or on their website, ranging from R99 to R1 000. 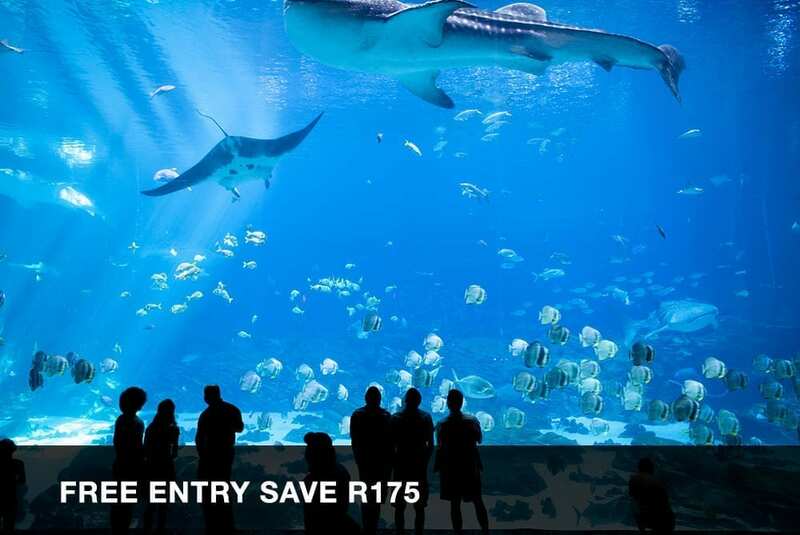 The games on offer change frequently so that you can come across a new game each time you visit. 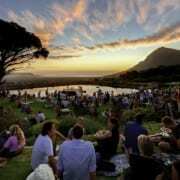 They also host a variety of themed evenings and events like the all-night game sessions. 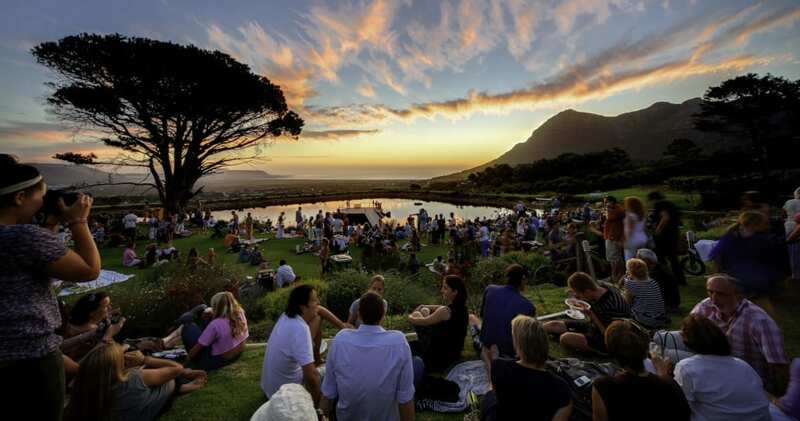 The Big Box Café is truly a great spot for a fun, quirky evening out with friends. 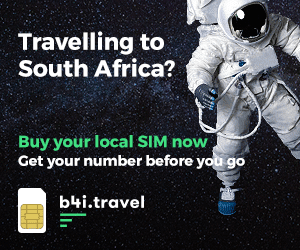 Visit thebigbox.co.za for more information. 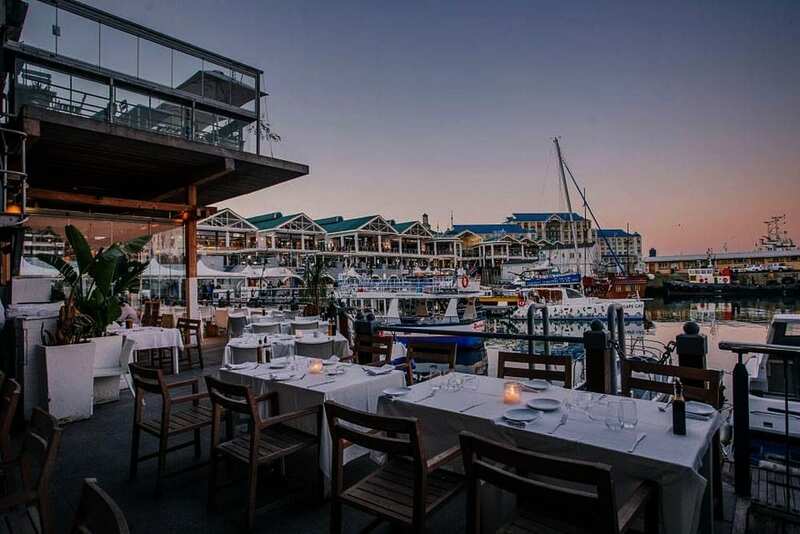 Situated on the quayside of Cape Town’s V&A Waterfront is one of the city’s oldest and best-loved restaurants, Den Anker. 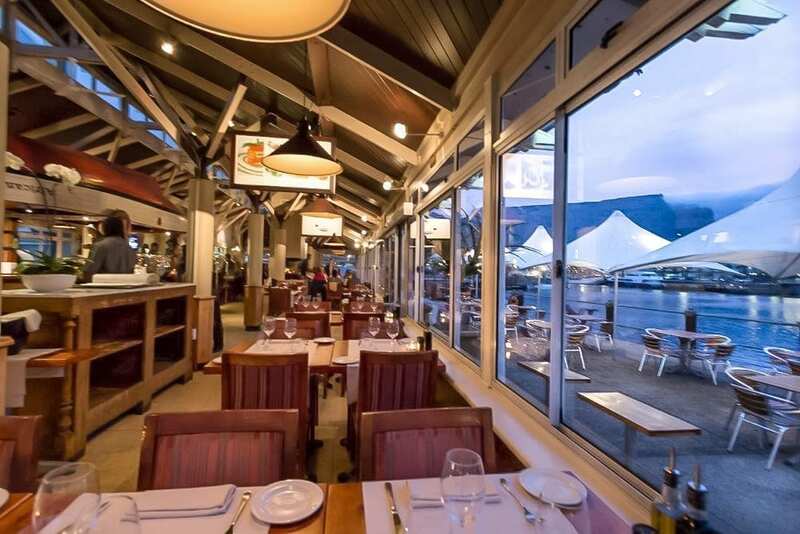 This popular Belgian beer house and restaurant not only offers picturesque views of the harbour and Table Mountain but also an extensive menu with a strong emphasis on seasonal dishes and fresh seafood. Den Anker is a good place to get a light lunch or an evening meal and they offer the best dessert — crêpes which are flambéed at the table. 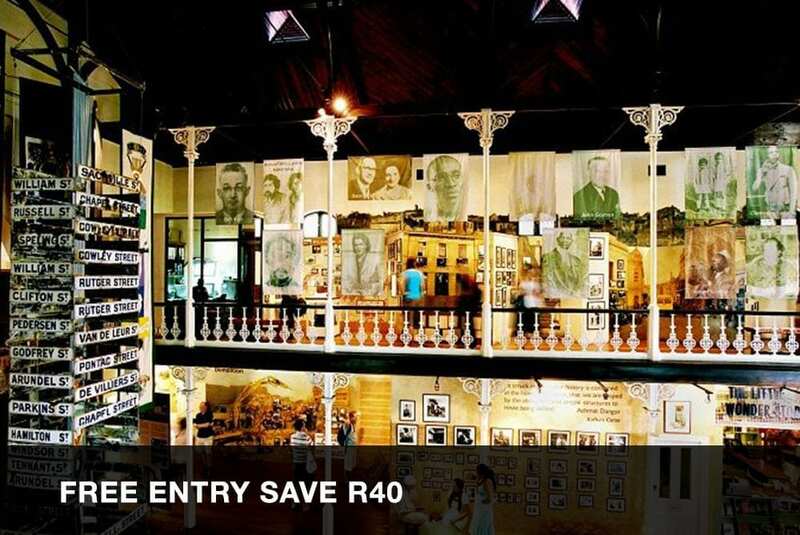 Visit www.denanker.co.za for more information. 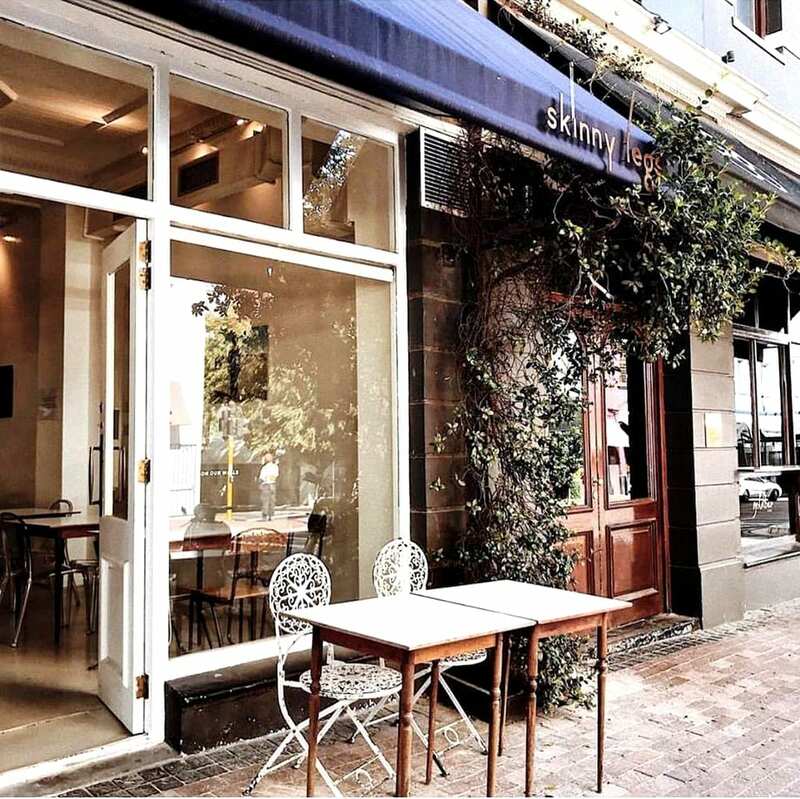 Skinny Legs Café offers you a more health-conscious approach to your crêpe indulgence. Their Buckwheat pancakes are a great alternative option to the usual gluten-based crêpes. And they taste just as delicious! The savoury fillings are very unique such as creamed feta, rose harissa, and minted pea puree. And you should try one of their yummy freshly-squeezed juices. 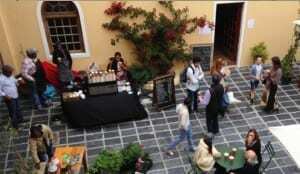 Skinny Legs Café is open Mondays to Fridays from 7AM to 4PM, and Saturdays from 8:30AM to 2PM. Follow the Skinny Legs Café Facebook page for more information. 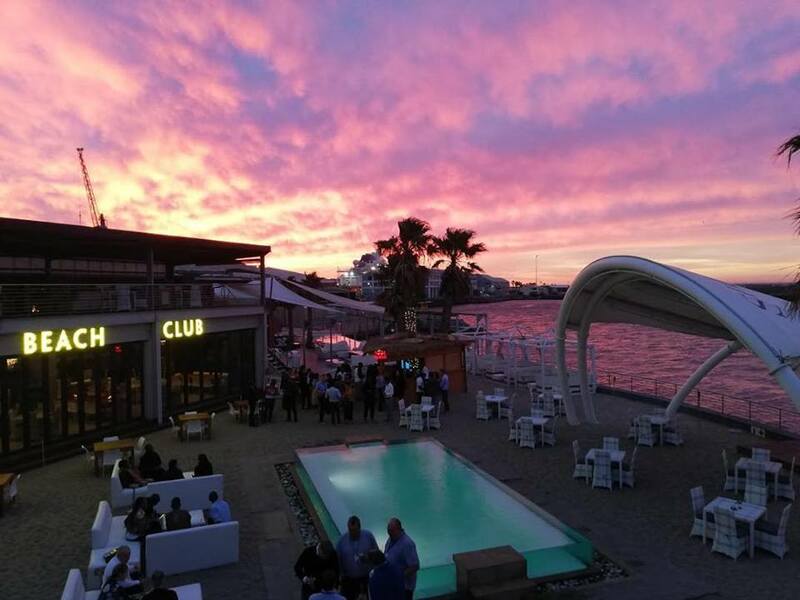 After five years of extensive research and product development at some of the biggest global laboratories, The Skin Co. opened their first store in January 2019, in Green Point, near the Cape Royale hotel. This original South African concept is the first ingestible cosmetic health food bar in the world. The new age skin, health and beauty company offers their beauty products in store, as well as online. They believe they are the future of skin and aim to revolutionize the beauty industry, offering 100% natural products. The shop’s crisp décor perfectly complements the unique skin care range. Their use of wood and hanging plants, contrasted with white walls, create a sense of earthy purity as you step inside. Combining the beauty products with a health food bar offers patrons a unique way to engage with the brand. The Skin Co’s philosophy is that what you put on your skin is just as important as what you put in your body. It’s a world-first, all the ingredients used in their beauty products are ingestible. 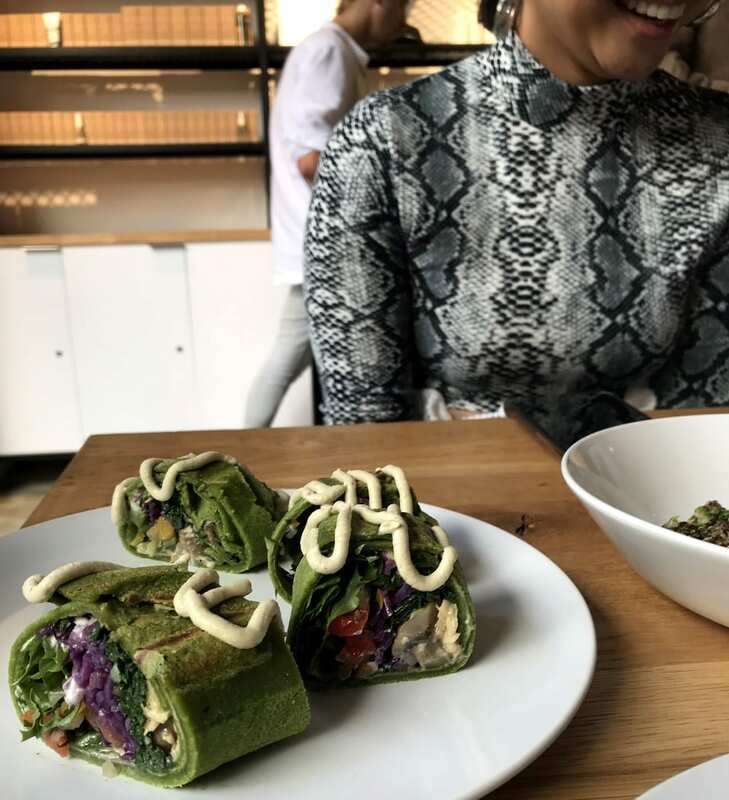 At the health bar the food and juices are enhanced with three main cosmetic ingestibles: Collagen, Hyaluronic Acid, and Resveratrol. Each of these add their own super power to your meal or juice. Collagen is the most abundant protein in your body. It’s in various body parts such as your ligaments, tendons, muscles, and skin. It provides your skin with its structure. A supplement can give your skin a much needed boost. It can also strengthen your hair and nails, preventing brittleness, plus increase the growth. The Skin Co. uses collagen sourced from fish, because of its higher quality. Hyaluronic Acid increases hydration. Sufficiently hydrated skin has smoother, plumper skin cells. When the skin retains moisture, the visibility of fine lines and wrinkles is reduced. Skin that is properly hydrated and protected also has increased skin cell production. Resveratrol forms part of the polyphenols group of compounds. These act in a similar way to antioxidants, protecting your body against various damage risks. It’s an antimicrobial substance which plants produce in response to infection, stress, or strong UV radiation. This gives the compound powerful antioxidant and anti-aging properties. 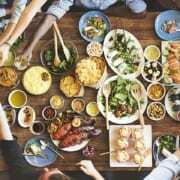 The restaurant has created gourmet plant-based, seasonal and locally sourced Fairtrade dishes. All of the dishes include one or more of the cosmetic ingestibles. These are food grade and 100% safe for human consumption. Although their meals are ultra healthy, they won’t cost you an arm and a leg. 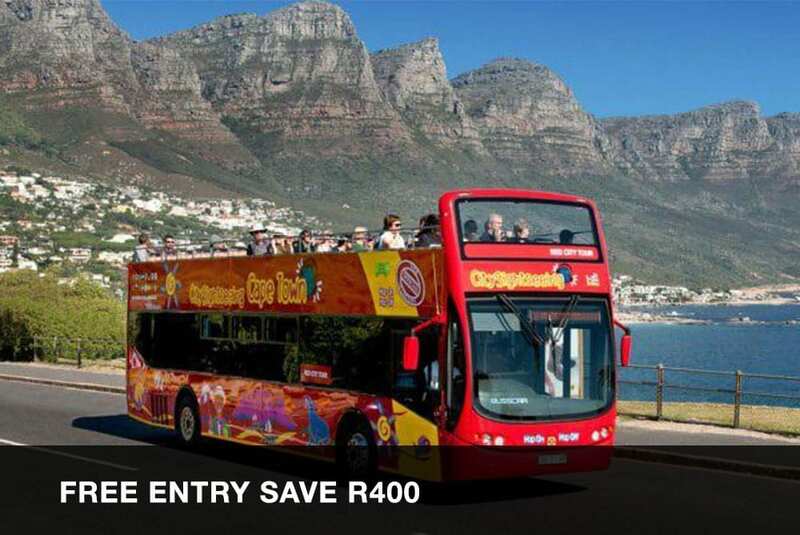 Meals range between R65 to R120. 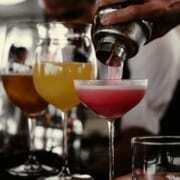 To whet your appetite, the breakfast options include: Active Tofu – Resveratrol and Hyaluronic Acid infused tofu hollandaise, wilted spinach, asparagus, and toast. Blueberry Flapjacks – Hyaluronic Acid vanilla vegan cashew ice cream, banana, blueberries, and strawberries. And for lunch: HA Bowl (Hyaluronic Acid) double Hyaluronic Acid, saffron and citrus infused fennel, herbed quinoa, coriander, spring onion, tahini, soy and roasted sesame Hyaluronic Acid oil emulsion. 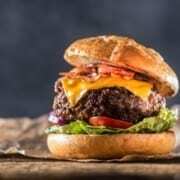 Charcoal Brioche Burger Trio – 1. Hyaluronic Acid crispy tofu, 2. Collagen falafel, 3. Resveratrol mushroom topped with caramelized onions, smashed avo, oven roasted button mushroom, truffle vegan aioli, and coriander pesto. Cold Pressed Skin combines the science and the food, to create an active superfood skincare range. This skincare range is pure juice for your skin. Currently they are focusing on six main products. The ingredients include cold-pressed cosmetic oils and extracts. And all the ingredients are natural, raw, vegan, and cruelty-free. These products are full of bio actives, antioxidants, and skin-loving phytonutrients. The products are suitable for all skin types. The oils are also safe for use during pregnancy and suitable for all skin types. To read more about the products, click here. Together with the Cold Pressed Skin range , Instinctive by Nature is a natural skincare and beauty collection created from advanced natural and organic formulas. It promotes long term skin health. Again, all ingredients are natural, raw, vegan, and cruelty-free. It consists of a range of tanning and antioxidant body oils, and slimming lotions. These are designed with a plant stem cell system which targets fat cells while protecting and regenerating the skin from UV damage. It also provides your skin with a boost of melanin production. 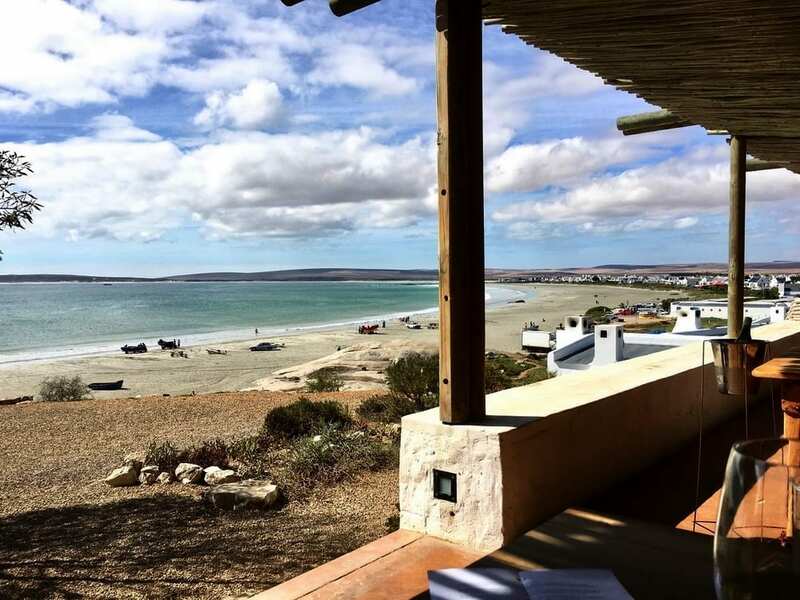 The products are not instant self-tan but with regular use you can gain a more consist tan, without exposing your skin to the harsh African sun. You can also use it as sunscreen, to protect your skin. The Skin Co’s production facility is ECOCERT approved. It enhances the company’s vision to do as little harm as possible to the environment, while offering people high-quality, affordable products which are suitable for all skin types. Visit theskinco.co for more information. 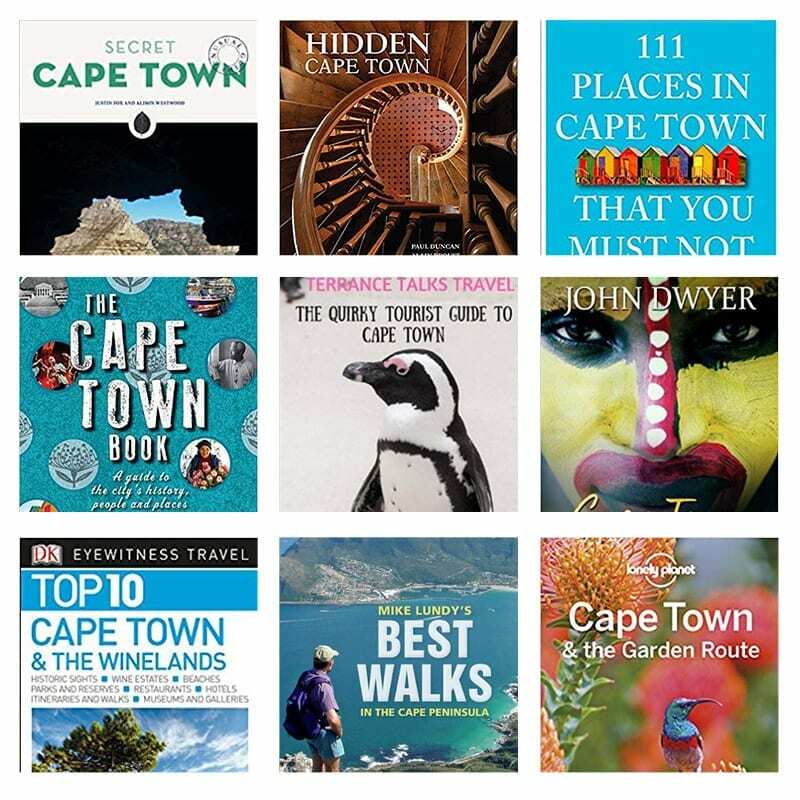 In the thick of summer, when Cape Town is heaving with visitors and locals let loose from their work cages, you might feel the urge to find somewhere quiet to hide. 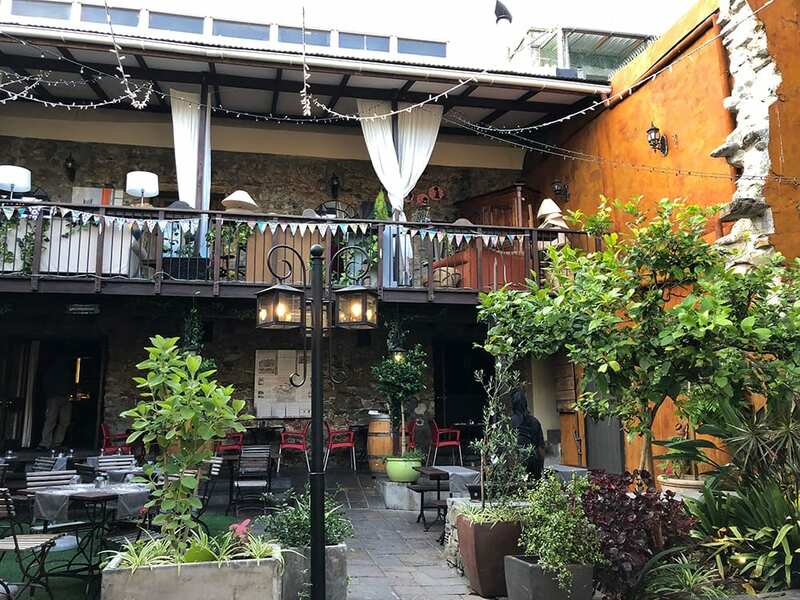 Here are a few wonderful Cape Town courtyards to try when you need to step out of the fray. If you’re looking for a peaceful retreat in beautiful surroundings, the approach to 196 Victoria might not immediately seem promising: persevere, and you’ll be delighted you did. In the middle of the bustling, restless, noisy urban Woodstock Main (Victoria) Road, you’ll see the gracious old façade. But once you step inside, you’ll find yourself in an oasis of calm that seems to be miles (perhaps centuries?) away from the street you’ve just stepped off. I first went there to see an exhibition by a local artist – wonderful work, exhibited in a light, clear space – and it felt like I’d stumbled, Narnia style, into a different world. 196 Victoria was conceived as a hub where creatives and holistic health practitioners (and those who feed and water them) could work in a beautiful, conducive environment. The focus of the centre is on supporting physical, mental and emotional wellbeing. 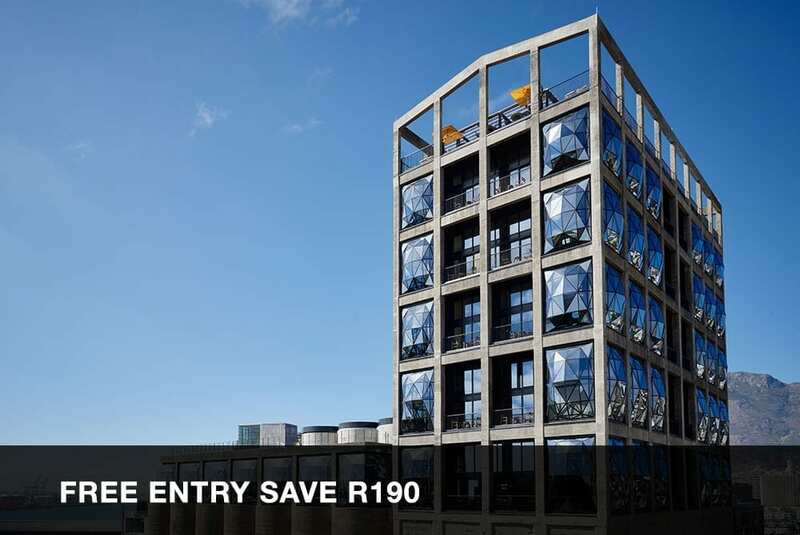 The building houses several artists’ studios (to the right as you walk in), a yoga studio, therapy rooms and workshop rooms as well as an extraordinary old world café room, an exhibition space, and, tucked away at the back, a courtyard café. The eatery has just changed hands, and the new Veg Kitchen and Coffee Shop opens in January. I’ll definitely be paying them a visit. 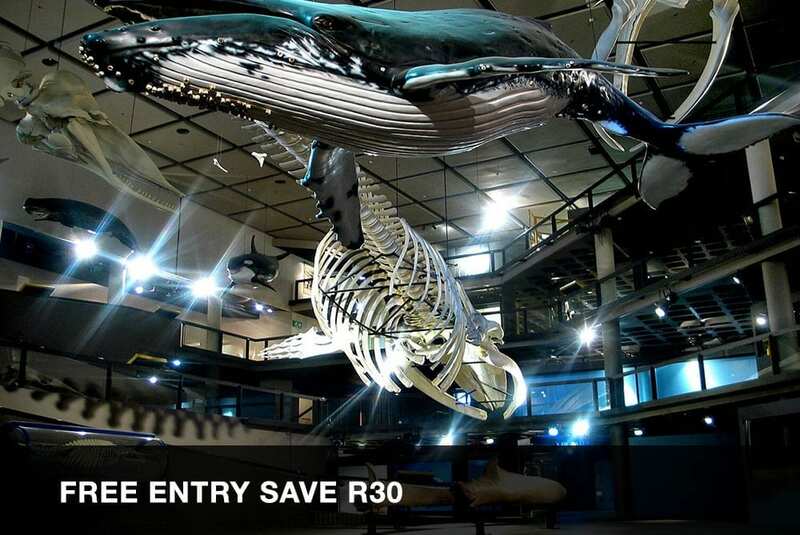 If you’re looking to put yourself into the thick of it rather than to escape, head to Café Ganesh in the heart of Observatory. Café Ganesh started by accident. Literally. Anthony Baker was knocked off his motorbike in the early 90s and was eventually paid out for his medical expenses in 1995. He took a 7-month trip to India (hence the name Ganesh), and decided to start a local eatery when he came home in late 1996. An “Obs” institution since its inception, Café Ganesh serves up hearty food (think bobotie, umnqusho, pap ‘n veg) and even heartier conversation, Mzansi style, from before noon until the wee hours. The look is urban shabby chic, and the feeling is everyone’s welcome. Most of the action happens at the long tables in the main courtyard area (through the main Trill Street entrance) but Ganesh expanded some years ago to include an extra room, featuring work by well-known SA artists – don’t forget to check out the floors. If you’re wanting something more tranquil and less “happening”, try the fabulous fare at the High Tea cake shop in Wynberg. 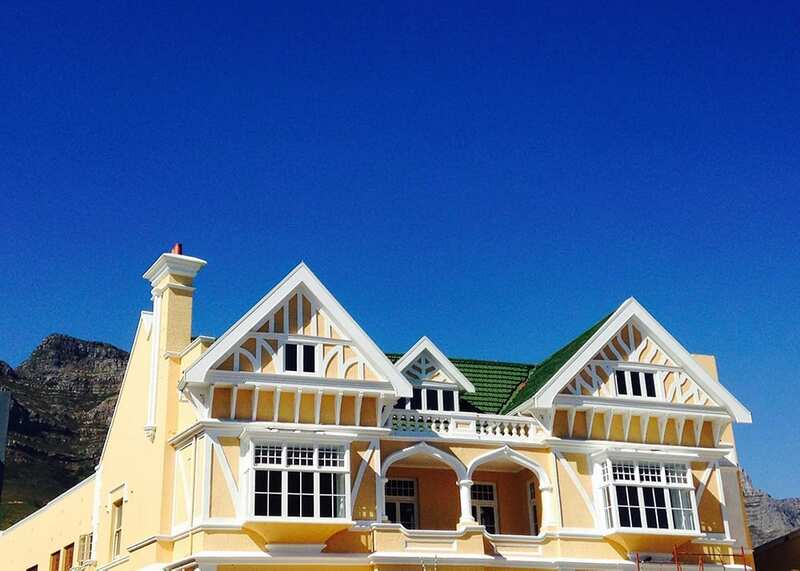 Kerneels and Irma Brümmer started High Tea in Wynberg as a tea and cake shop in 2004, but it has since expanded. High Tea now serves up breakfast, lunch or afternoon tea in a really beautiful, peaceful English-styled garden. The baking is still done by Irma and her staff in a home-based kitchen. You can hire out the venue for functions or order custom-made cakes for birthdays, weddings or other special occasions. 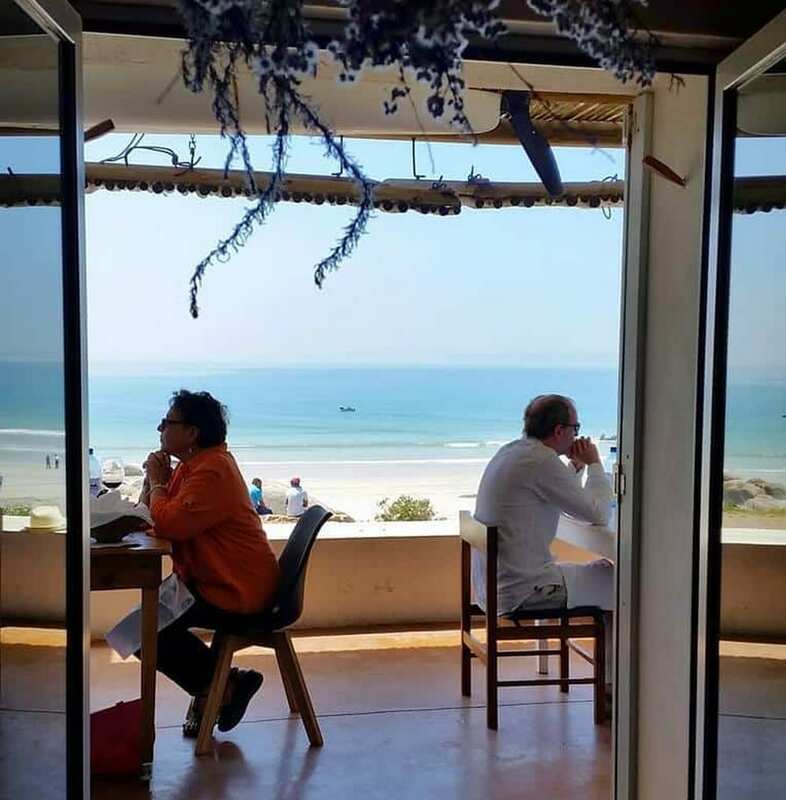 If it’s a seaside courtyard retreat you’re after, make your way to the South Peninsula, where you’ll find the Courtyard Café in Kalk Bay or try the Winchester Mansions in Sea Point. 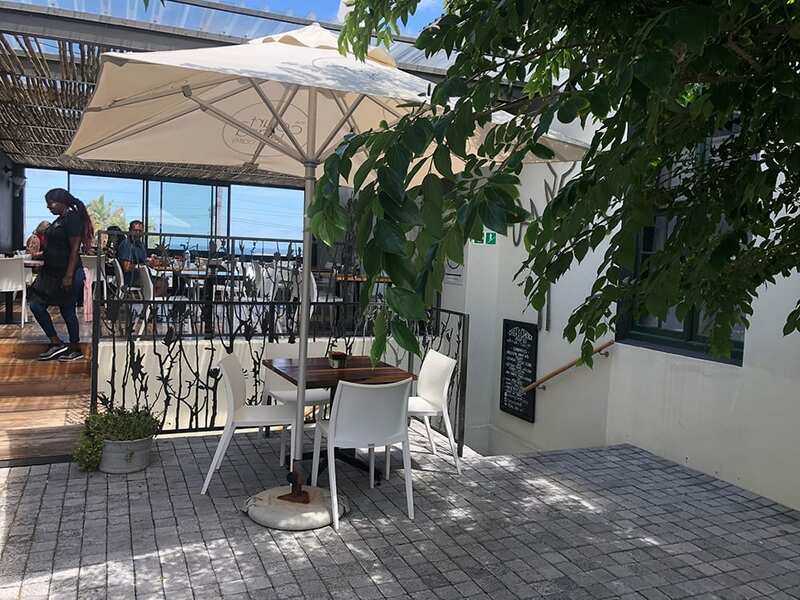 The Courtyard Café is set in a sheltered courtyard in Kalk Bay between the Artvark Gallery (through which you enter the café) and the Kalk Bay Theatre (which featured in the Secret Cape Town “Intimate Theatres” blog). 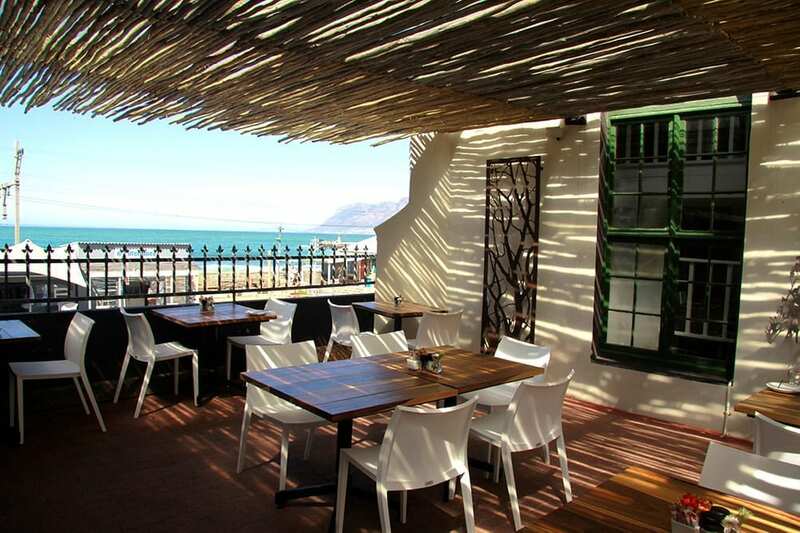 The café has inside and outside areas, some of which overlook the bustling activity of Kalk Bay and the False Bay ocean beyond. 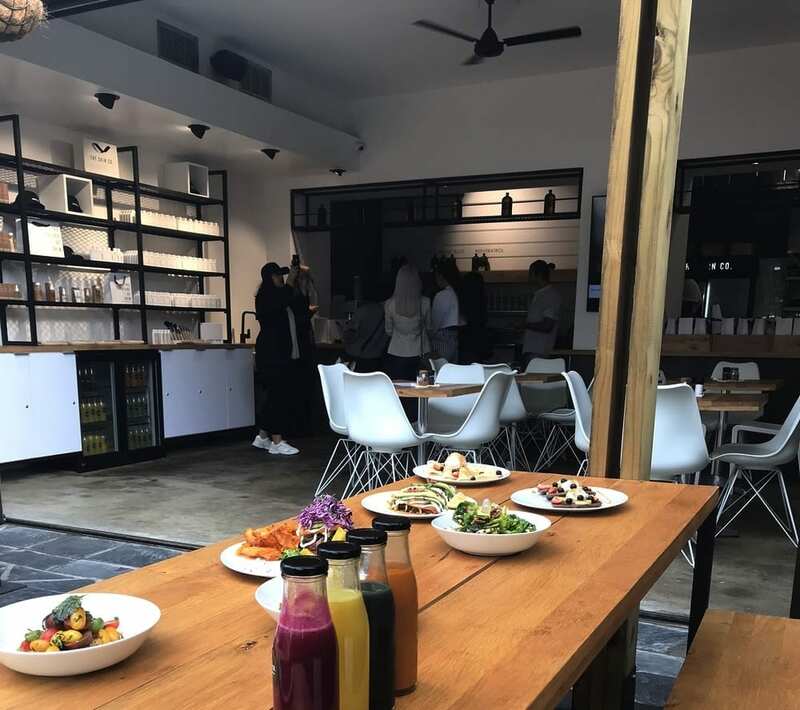 The Courtyard Café prides itself on their healthy, high quality ethically sourced food, serving many inventive salads as well as vegetarian and vegan options. 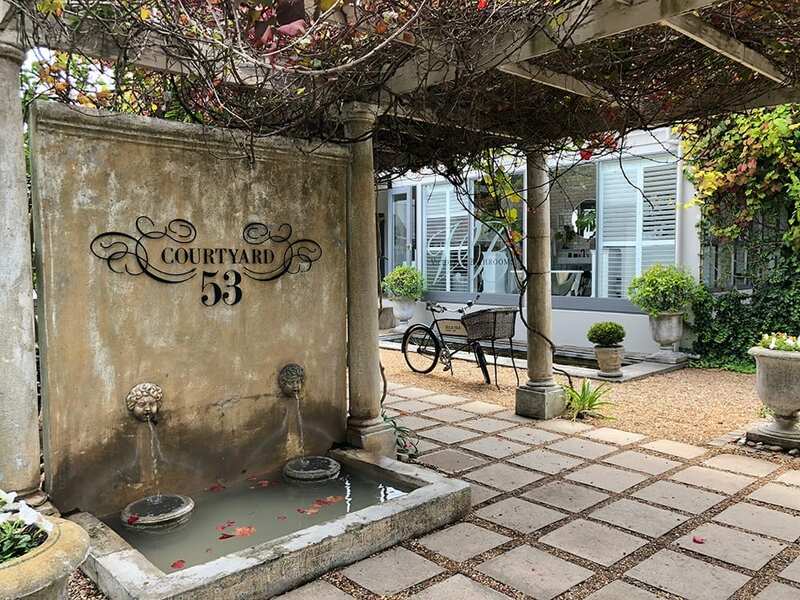 Winchester Mansions in Sea Point is home to one of my all-time favourite courtyard hide-aways. 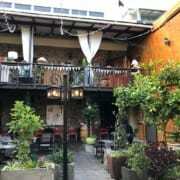 I’ve been treated to a fabulous breakfast buffet there and it’s a perfect place for afternoon tea, but Harvey’s (as the restaurant here is called) also serves dinner in this uber-romantic courtyard setting. 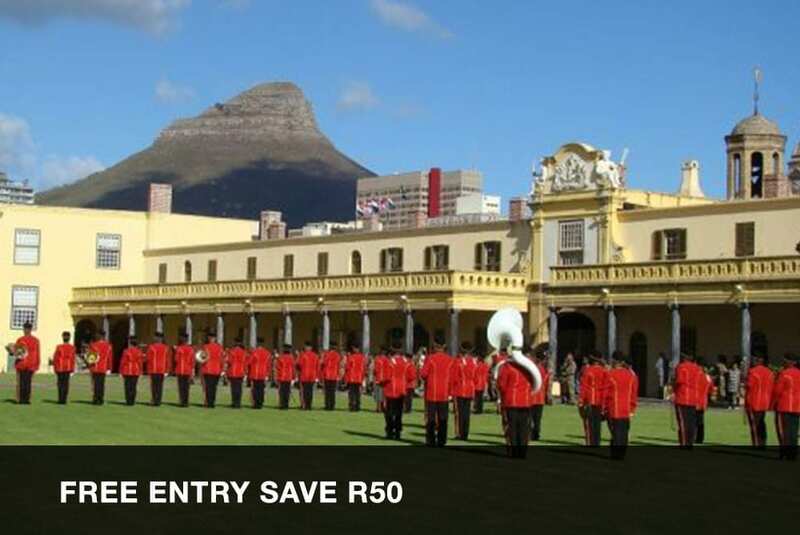 They offer Summer Serenade evenings during season on Fridays and Saturdays from 5 to 8, high tea on Saturday afternoons from 2 to 5 (R360 for 2) and their legendary jazz brunches on Sundays from 11 to 2 (R345 and you can help yourself to anything from the breakfast or lunch buffets) – just make sure you book in advance. 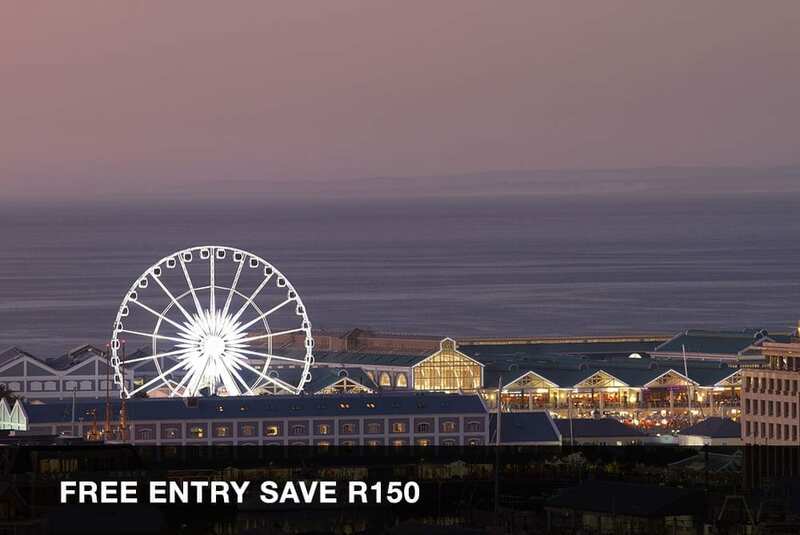 If you’re after a spectacular sunset drink, the bar (with a stoep) at the front of the hotel looking out onto the promenade and the sea beyond is a winner. Heritage Square houses an impressive range of places to eat or drink. There are several good restaurants (one specialising in chicken dishes, the other in beef), an upstairs drinkery, an innovative ice cream shop serving inventively boozy ice cream flavours such as whisky and orange peel alongside more traditional (and child-friendly) varieties, a cellar offering wine tasting, a coffee shop, and the Heritage Hotel which is adorned with a grape vine that has been growing there since the 1770s and still produces grapes. 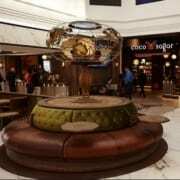 Whether you’re going there for a quick drink, a coffee, an ice cream or a full meal, it’s a wonderful venue – day or night. 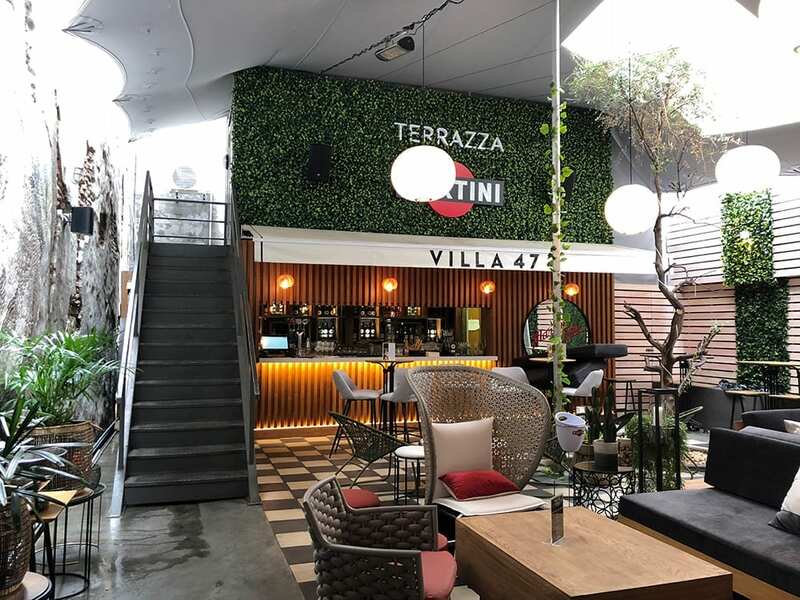 Not far from Heritage Square in Bree Street, the Villa 47 courtyard has just been revamped into a fresh, modern terrazza with funky but comfortable-looking furniture, presided over by a great mosaic created by a young local artist. 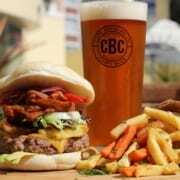 They specialise in Italian spritzers, snacks and meals and have several beers on tap. 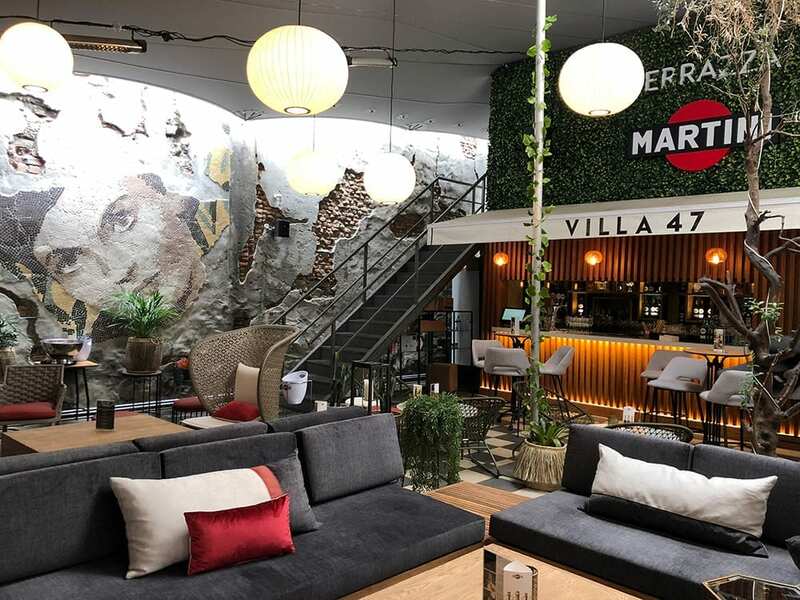 It seems like a perfect place to go for post-work drinks and stay for a good Italian dinner. Still in the CBD, Honest Chocolate is a small, artisanal bean-to-bar chocolatier. The people at Honest are dedicated to ensuring ethical business practices and sourcing (local, organic and fair). The chocolate is handcrafted in Woodstock, and they set themselves apart from the rest by keeping their chocolate dark and minimally sugared. Their café shop is on Wale Street, with a few tables of indoors and a really pretty courtyard at the back (which is part of the original building) where you can sit and enjoy a breather and something dark, decadent and chocolatey at a table near the water feature. 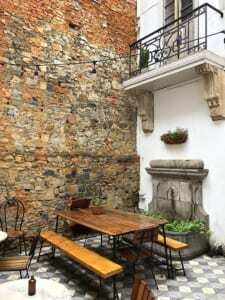 If you’re a gin lover (which I confess I’m not) venture further and you will find the secret Gin Bar, which shares the courtyard with the Chocolate Café and offers a wide selection of local and international gins. 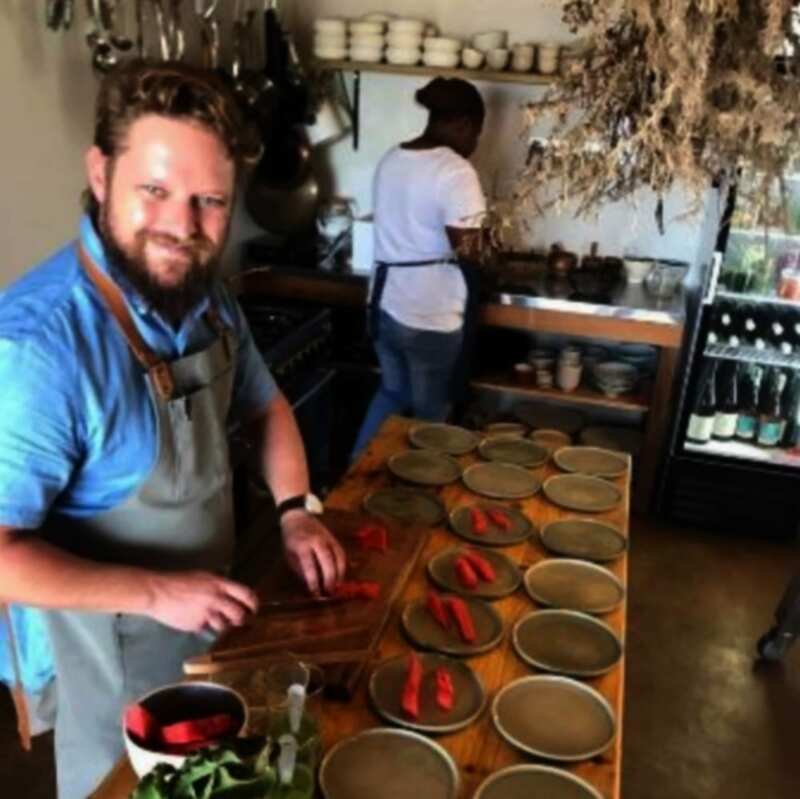 You can try your hand (or taste buds) at identifying the huge variety of botanical flavours used, and experiment with different mixers and garnishes. 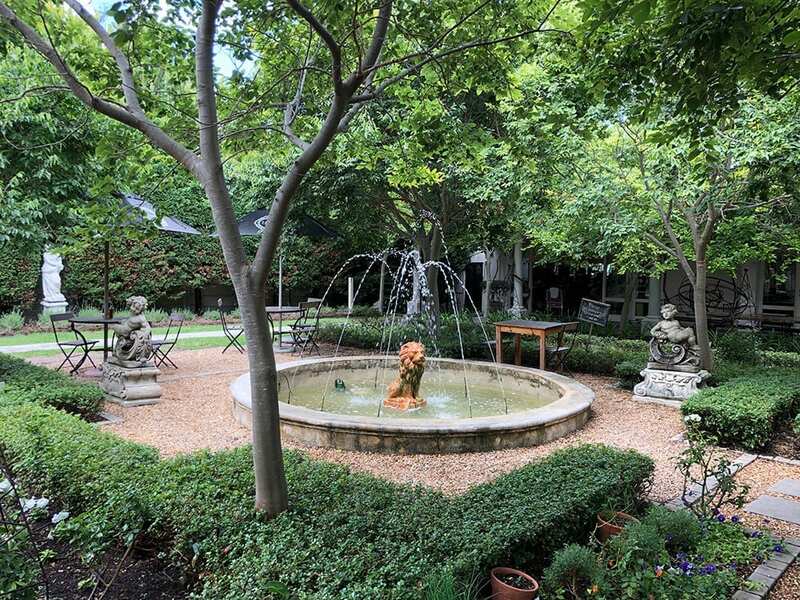 If you feel like going somewhere rural without leaving the city, the courtyard at Jonkershuis restaurant is a good bet. 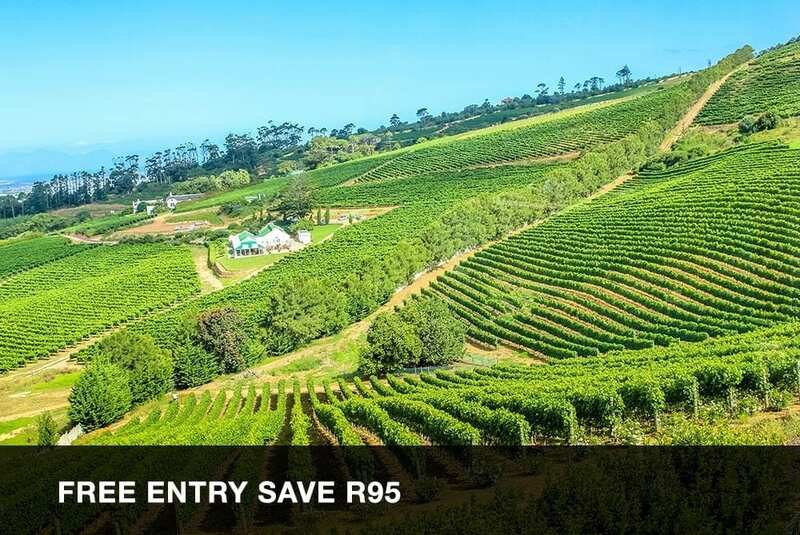 Situated in the heart of Groot Constantia, the oldest wine-producing estate in South Africa, the Jonkershuis is a relaxed restaurant with a leaning towards traditional Cape Malay dishes. 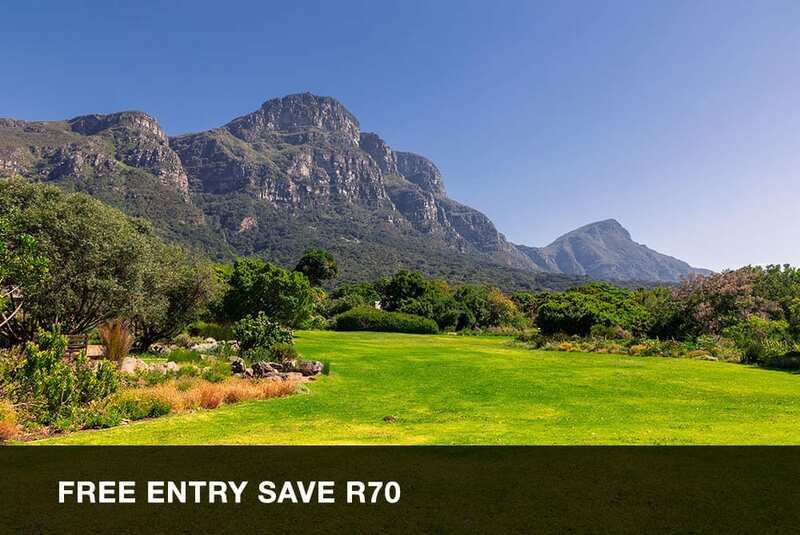 There are various spaces within the venue, including a lovely courtyard area, but it’s definitely worth booking in advance. It’s a great place to take kids: there’s a children’s menu (as well as a vegetarian one) and plenty of space under the shade of the oak trees to run off any extra energy after lunch.